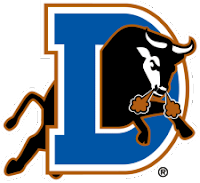 Game recap provided by Matt DeMargel of Durham Bulls. Durham, NC - The Bulls could not overcome a pair of defensive miscues in the eighth inning as they fell at the hands of Lehigh Valley by the score of 4-2 on Sunday evening at the Durham Bulls Athletic Park. A throwing error by Jose Lobaton brought across the go-ahead run in the eighth inning, and the IronPigs tacked on another in the ninth as the Bulls fall to 45-31 on the season. The two teams were scoreless through the first three innings, but the IronPigs got on the board with a run in the fourth off Bulls starter Heath Phillips. With a runner on second, former Bull Paul Hoover grounded a ball into the hole at short for an infield single. Melvin Dorta appeared to be caught rounding too far around third, but Luna’s throw home skipped away from Jose Lobaton allowing the run to come across. Dorta brought across another Lehigh Valley run with a sacrifice fly in the sixth inning, but the Bulls would come back to tie the score with a pair of runs in the bottom of the seventh against IronPigs starter Brian Mazone. After Lobaton reached on a force out, Fernando Perez stepped to the plate and blasted a two-run homer off the windows of the Diamond View II building in left-center, tying the score at two. It was the second homer in as many nights for Perez, who has collected an extra-base hit in three straight games for the first time this season. The tie would be short-lived, as Lehigh Valley came back in the eighth to take the lead again. A leadoff double by Andy Tracy put a runner in scoring position, and one batter later Domonic Brown singled up the middle. Brown looked take second on the throw home, and Lobaton’s throw skipped away from Luna allowing Tracy to score the go-ahead run. They would add another run in the ninth on a sacrifice fly by Greg Dobbs, while Oscar Villarreal and Scott Mathieson each tossed a perfect inning of relief to close out the win. The two teams close out the series tomorrow as RHP Richard De Los Santos (6-3 4.67) takes the hill against RHP Drew Carpenter (6-5 3.63). Game time is set for 1:05 and the game will be broadcast LIVE by MLB Network.